SPECIALIST IN EYELASH EXTENSION TRAINING 1 on 1 classic extensions – We trained the most successful eyelash professionals in France, and created the 1st eyelash extension company in Paris in 2006 – Our eyelash extension training in Los Angeles is a total of 2 days , 1 day complete and 2- 1/2 days of follow ups’ in future months (Maximum 2 trainees and 2 trainers) We will not let you go with full knowledge and how to apply eyelash extensions after your day with us. We have been the USA and European suppliers for Keratin and Dolly lash lift since 2008 and continue to have the best prices and outstanding client relations on both USA and European markets. Monday – Tuesday – Wednesday and Friday : Office closed Thursday for visits but OPEN for pick-ups . CilsFrance Inc was created in October 2006 in Paris. It holds registered trademarks in the USA and France. At the helm of CilsFrance is Andrea Prince Woloszyn, a renown beauty expert with 30 years of experience. She is a world traveling trainer in eyelash extension application and an entrepreneur. Andrea began as a professional makeup artist in New York, then into management for major chain stores on the east and west coast. Her responsibilities included buying, choosing and researching new cosmetic and skin care products. She joined the team of Boyd Chemists on Madison Avenue, before moving to the West Coast, where she inaugurated her own boutique ‘Faces and Images’ in Westwood, California. In 1995, Andrea moved to France and lived in Lyon and Paris, where she worked with various companies such as Vichy and La Roche Posay. Her responsibilities included teaching English to professionals, Business Consulting and Coaching. 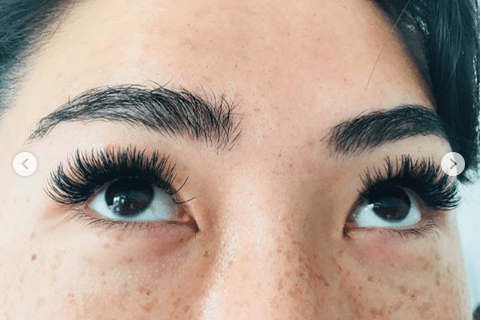 Andrea was first to bring the concept of eyelash extensions, eyelash extensions trainings, and products for eyelash extensions to the French market. Since 2006 and continuing to date, Andrea has chosen to keep a hands-on and service-oriented approach for their CilsFrance clientele worldwide. To date, Cilsfrance Eyelash Extensions, Adecil Adhesives and Lash Lift Perms are of the finest quality and excel in long lasting results for clients and beauty professionals alike.